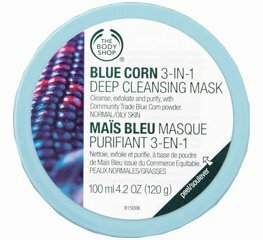 The Body Shop Blue Corn 3-In-1 Deep Cleansing Mask: This does what it says on the tin- cleans deeply into your pores to leave your skin perfectly clean and fresh. The oatmeal grains also gently polish your skin's surface; leaving it glowing, and the honey gives your skin an injection of moisture. We love it! £9 from www.thebodyshop.co.uk. CID Cosmetics I-Perfection Foundation: This is a fantastic lightweight liquid foundation with colour adapting abilities to match your varying skin tones. This means you get an even, flawless coverage; and it works! There are 8 shades available, from Nougat to Cocoa. 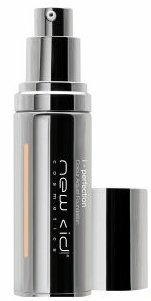 £26 from www.newcidcosmetics.com. 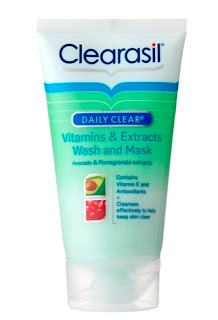 Clearasil Face Vitamins & Extracts Wash & Mask: This was one of the products launched as part of 'The Big Skincare Mystery', and it was definitely worth waiting on the reveal! We tried it before we knew the brand behind it was Clearasil, and adored the way it can be used both as a wash, and as a mask if left on for a few minutes. We are all for things being multi-purpose! The apple scent is divine, and it helps to keep your skin blemish-free and balanced. £4.99 from www.boots.com.